There’s been a great deal of confusion among readers about new Marriott breakfast benefits. Marriott will be offering Platinums and above breakfast at 23 of their 30 brands, and they’ve eliminated the exclusion of breakfast at resorts from the program. The reason this is confusing is because Starwood members are used to having club lounge access whenever there is a club lounge. However not all Marriotts with club lounges in covered brands that are considered resorts are going to offer club lounge access. Here’s how the breakfast benefit is going to work, and what changes with the new program that starts August 1. There are Luxury Collection, Tribute Portfolio, a few Ws and even Four Points hotels with club lounges. The standard expectation with Starwood has been that if there’s a club lounge Platinums get access although that’s beyond what the program’s terms and conditions require (access has been for club lounges and not for ‘Towers’ lounges unless staying in the Towers section of the hotel such as at the Sheratons in Hong Kong and Ho Chi Minh City). The new Marriott program is going to require the same hotels that were required under the Starwood program to offer lounge access to continue to do so. And the same hotels that offered lounge access above and beyond the terms of the program under Starwood can continue to do so under Marriott. Marriott historically did not require resorts to allow elites to access their lounges. Westins, Sheratons, and Le Meridiens will still be required to allow elites to access their lounges. Marriott is not adding a requirement that other brands allow lounge access. There’s nothing about the change in program that will cause members to lose lounge access at the Ws in Doha or Guangzhou or the Luxury Collection Grand Mansion in Nanjing. The Hermitage Tribute Portfolio property in Jakarta will presumably continue to give guests a voucher for evening drinks. Platinums will still have access to the club lounge at the Sheraton in the Maldives. The thing that is changing is that resorts at some legacy brands, which didn’t used to have to offer breakfast to elites, will now have to offer breakfast. But they do not have to offer breakfast in their club lounges. A JW Marriott or Marriott resort won’t have to offer lounge access to Platinums, just breakfast. While “Protea will offer breakfast in the restaurant” there will be food and beverage vouchers at Courtyard, AC Hotels by Marriott, and Moxy hotels. Ritz-Carltons, Editions, Design Hotels, Gaylord Hotels, Marriott Vacation Club, and Marriott Executive Apartments don’t have to feed you. Neither does Bulgari, they don’t participate in Marriott Rewards. Marriott resorts didn’t have to offer club lounge access or breakfast before. They aren’t being required to add lounge access, but several brands that may have lounges at resorts are required to offer breakfast going forward. MEA/AP/CALA will offer a choice of 1,000 points (per stay) or breakfast in the restaurant (per day, member+1 guest) or an F&B amenity (per stay). I thought that Marriott Rewards Gold and above have been getting Lounge access, not just Platinum? Is there an official policy on children under 12 for breakfast at resorts or otherwise, if they travel with 2 adults ( and adult will be lifetime platinum premier) or is it under discretion and mercy of each hotel or even each front desk guy? Interesting that 1000 points welcome amenity translates almost to 10$ by most Marriott points valuations (8$ to be more specific). That makes me think that the voucher is going to be roughly 10 USD per room (and not per guest). This is also what I’m hearing so far. 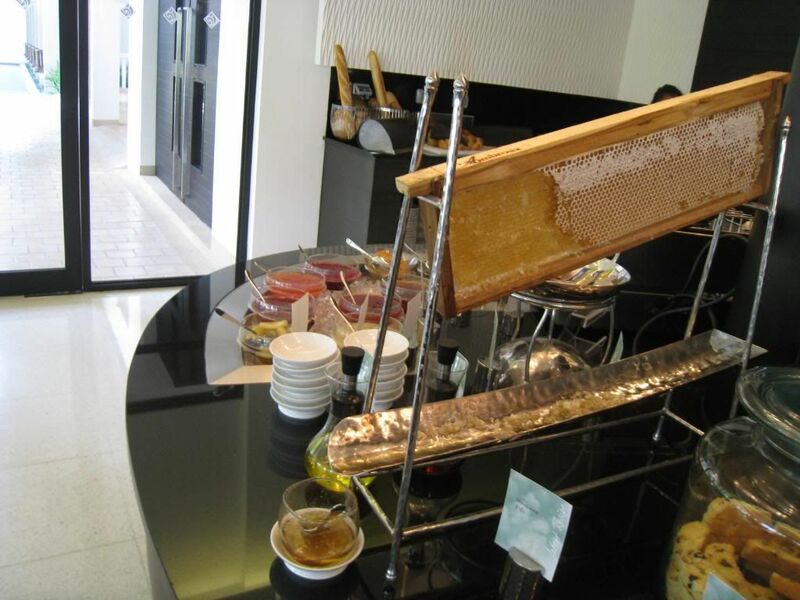 A paltry 5$ per guest would hardly be sufficient for a Courtyard breakfast in tier 1 markets. That’s closer to a cup of coffee (if that). That’s hardly a “breakfast benefit” and it seems the properties don’t lose anything incrementally since they just substitute the points for the equivalent cash and earn a chance at upselling you with further items at breakfast. Perhaps that’s how they sold it to the properties. Possible to clarify with them what the value is per guest and per room? It is still unclear what the situation will be like at properties with a lounge who close the lounge on the weekend/holidays or properties with brands that are supposed to have a lounge but don’t. Will Marriott stop requiring them to provide you with breakfast and instead force you to choose between points and breakfast? Great news. Lounge access was a (the) key Gold perk under the old program. Lounge access is much more than just breakfast. It means you can drop in and grab food and run in 5 minutes, as opposed to the typically slower restaurant experience. It also means you can visit midday or in the evenings and maybe load up on dinner at some locations. No work yet on that, I guess. Also, as a Plat, if I book two rooms, will everyone in both rooms get breakfast? I don’t know if that will be the case. So far the overwhelming number of lounges (95%+) in SPG system were compelled by T&C to provide access. The handful of St Regis, W, LC, TP, Four Points lounges that remained had to conform to peer pressure or waste resources dealing with angry guests and complaints. @Vineet – while I have some questions in on specifics, the amount will vary by location based on what it buys I believe. The welcome amenity/points tradeoff ports over the Starwood model. It’s a cost saver but it also makes sense. 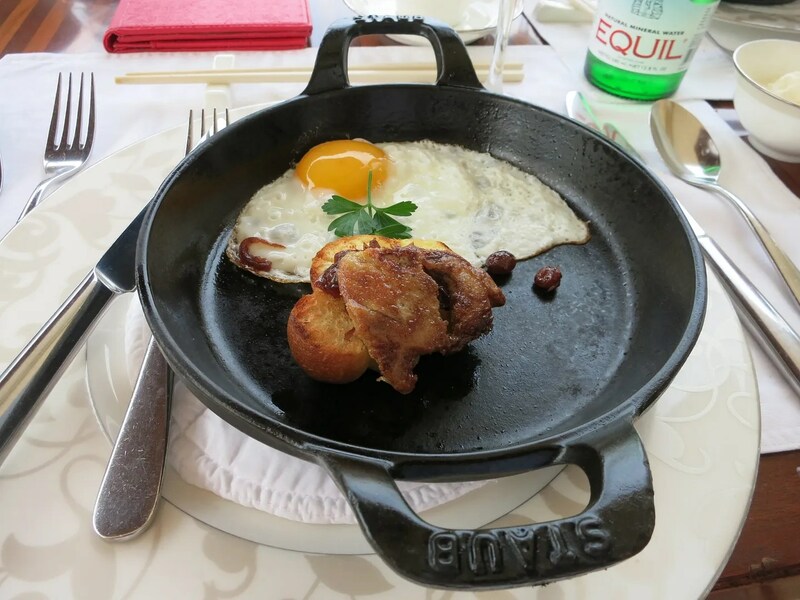 If you’re on an expense account, take the points and expense breakfast. @Doug I haven’t asked about breakfast for children under 12, great question! @alliw – At Marriott 50 night elite status gets lounge access. Marriott currently calls that Gold, but will start calling that Platinum on August 1. @Boraxo – to a pretty close approximation hotels that currently offer lounge access will continue to do so, but resorts that do not only have to add breakfast as a benefit not lounge access. Because SPG Gold was pretty much the equivalent of MR Silver, the new program removes the current MRGold breakfast and lounge benefits as of August. SPG Golds get the new program Gold status but MRGolds (earned through stays not status match from SPG status) get the new Platinum status (and keep breakfast and lounge benefits). SPG Lifetime Golds only get Lifetime Gold in the new program but MR Lifetime Golds get Lifetime Platinum. Confused? Since the temporary status match, SPG Golds have gotten the much better MR Gold benefits (breakfast and lounge access) at most Marriott properties that offered those benefits. That ends in August when they get demoted to the same negligible benefits SPG Gold have always received under that program. Big losers: SPG Lifetime Golds, who will also need to meet higher criteria if they want to rise to the new Platinum and eventually Lifetime Platinum. As I never stayed at Marriotts before but am spg lifetime platinum. Do JW Marriott hotels offer lounge access to platinums? Lounge access is a nice benefit. 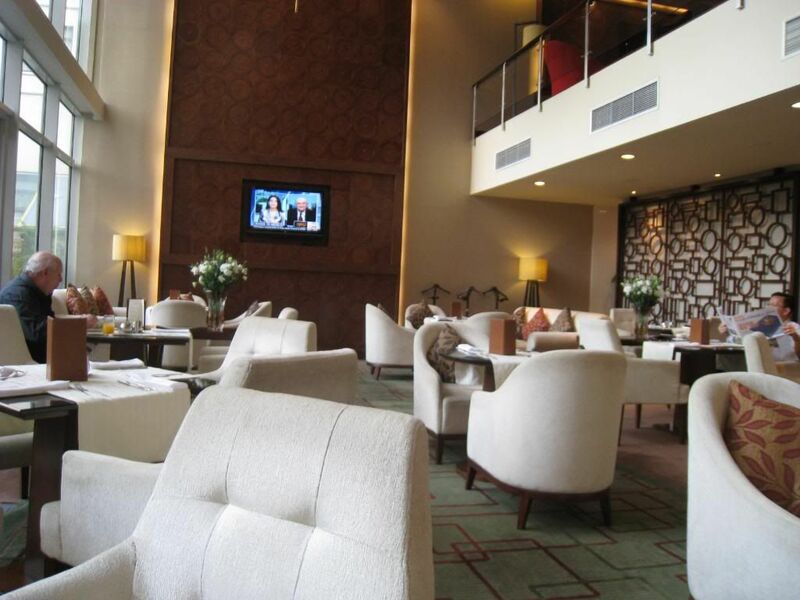 Last weekend I was at the Marriott Mexico City Reforma and the lounge and veranda were nice, relaxing spaces. The food in mid-afternoon sandwich snacks were disappointing; Bread made to look like a croissant is still just thick heavy bread. And there was only a thin sliver of meat and cheese essentially consumed by the bread mass. Seriously, the OXXO next door would have better quality…but not free. I did not make time to visit again but hope it would be better. or the list of hotels that can close lounge when they feel l Ike it? @Gary: This is a devaluation because previously I could get check-in bonus points plus breakfast in the restaurant at properties without a lounge or properties with a closed lounge. Now, it’s one or the other. Also, Marriott needs to define the breakfast because some hotel restaurants will just give you toast, juice and coffee. Presently, the current Marriott program defines it as “continental breakfast” in North America and “breakfast” elsewhere. While most focus on the merger of Marriott/SPG has been about the resulting Loyalty Program and its associated benefit, etc., I have a much more mundane and basic question. Will I ever be able to use my Marriott eGiftCards at an SPG property? I have inquired with customer service reps via both the Marriott and SPG websites, as recently as this week, and the answer I get is that my Marriott eGiftCards will be valid at only Marriott properties “for all time”. I can understand not being able to use a Marriott eGiftCard last year so soon after the acquisition, but I can’t fathom why it can’t or won’t be integrated between the programs now. Can you get a definitive answer from your high-level (i.e. truly knowledgeable) sources at Marriott/SPG? Let’s be honest – Platinum members are the players that should be offered lounge access where there is a hotel lounge. We should move allegiance when this is not respected. It really does not need to be so complicated. Hilton make it very clear across their brand (but Waldorf still need to be brought into the fold despite now offering breakfast). Elite is either elite or not. Do you know anything about rumors that those with Gold only because of Amex Plat will NOT be moving to the new Platinum from Aug to Dec? @tim – they should be getting Gold in the new program. Gary, I have a sidebar question on the merger impact. Do we have any info yet on what happens to the SPG free night (Cat 1-5) that one has chosen as SPG Plat 50 benefit at end of 2017 and is valid till 31 Dec 18? Where would that slot in now with the proposed change of award categories ? So let me get this straight. The one hotel chain infamous for inconsistency in breakfast benefit for elites, will make this benefit even more inconsistent once the program incorporates the frm. Starwood properties. Nice. @Gary, This thread is hard to follow. I get Marriott Gold because I am lifetime Mileage Plus Premier Gold. Does my MR Gold through Mileage Plus go to Platinum? More importantly, will I continue to get free breakfast? Anyone (in addition to Gary) know the answers to these? Thanks. This is the basic reason why SPG Golds and LTGolds are getting screwed over: too many comps from UA1Ks and AmexPlats. I earned SPG Lifteime through staying at their hotels over the years and had a 100 or so more nights to get SPGPlat LT…which won’t happen now due to the changes now required for MR LTPlat. The answer to the above question is “no” not after August 1st since SPG Golds of all ilk become MR Golds in the new program but that tier will remove breakfast, lounge access and 4pm late check out (all that were benefits of the soon to change MR Gold tier). SPG Gold never had these benefits at Starwood hotels, just at various Marriott ones through the temporary status match. Those MR Golds who earned that status through their MR stays will move up a tier to MR Platinum in August, but this will not happen to SPG Golds who status matched. Clear?! Do you know when this will roll out? Is the breakfast at resorts and Courtyards starting August 1 or prior to then? I’m lifetime Platinum Marriott and currently bridged over as Platinum on SPG. Based on what I read the current lifetime Platinum members of both programs will be grandfathered into lifetime Platinum Premier (4th level in program) but in the future there will only be lifetime Platinum (and not Platinum Premier) levels offered. Any idea if Cove at Atlantis will start offering breakfast benefit after August? I am so confused with all this. As of August 1, 2018 I had lifetime 1242 Nights and 2,121,086 points. According to the chart on the Marriott website, I should be Lifetime Platinum. I am still listed as Platinum Premiere Elite on my Marriott Rewards account page with no mention of Lifetime Status. I made an email inquiry and received no response so I called the PP customer service line and was told Platinum Premiere was a higher level of benefit than Lifetime Platinum. I had no idea that was the case. Since I have retired from a position that helped me reach this status, I am wondering what will happen to my status if I do not reach the Platinum 75 nights in 2019 due to reduced company travel. Any ideas on what will happen to my status? @Paul Armstrong – The new changes don’t go into effect until Aug 18th. I have platinum premier elite status at MR. Does anyone know what a MR breakfast consists of? I’ve been staying at a Marriott hotel for over 2 months with free lounge access and daily full breakfast buffet in the restaurant (no lounge breakfast option). Breakfast included an egg and waffle station, hot buffet, cold buffet, and cereal and bread station. This morning, without notice, I got a $5 bill for my breakfast because I used the hot buffet. I found out that due to the merger, the free breakfast is now only available for for platinum premier and higher and is only a continental breakfast (the cold buffet, bread, and cereal). Management said this has been implemented across all MR properties. To access the hot buffet will cost $5. Is this true? Have others noticed this? I essentially live at the MR for work and having to pay $5 per day for eggs is upsetting.